Before starting your business, it's important to outline your all the details in a business plan. Creating the plan not only forces you take a good look at all aspects of your business, from financial, to target market, and more, but also, it becomes the roadmap for your success. 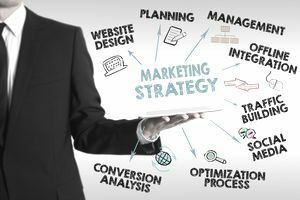 One of the most important sections of a business plan is Marketing and Sales Strategies which outlines your plan for reaching and selling to your target market. While you want to have a wonderful product or provide stellar service, it's all for nothing if you don't have customers and clients. Your marketing plan is the key to effectively and affordably finding your buyers. The basics of the marketing and sales section have to do with the 5 P's of marketing, as well as figuring out how you'll measure your marketing mix's success. Product – Describe the product or service offered to the customer by your home business, including the physical attributes of your products or services, what they do, how they differ from your competitors and what benefits they provide to your potential customers. Price – Outline your pricing strategies that will help you reach your target profit margin. How you will price your product or service so that the price remains competitive while still allowing you to make a good profit. When calculating price, make sure you take into consideration both fixed expenses (those that don't change) and variable expenses (costs that aren't set), to insure you're charging enough to make a profit. Also discuss if your price will be lower or higher than your competition, and how you can justify the difference (i.e. what do buyers get by paying more for your product?). Place (Distribution) – Indicate where your business will sell its products or services, and how it will get those products or services to consumers. For example, will you sell online? Will you consign your products into local stores? When you know what outlets our product and services will be available, indicate how much you expect to sell in each location. For example, will 65 percent of your sales be done online and 35 percent through face-to-face appointments? Also include any delivery terms and costs, and how those expenses will be covered (i.e. added to the sale of the item). Indicate if there any shipping or labeling requirements that need to be considered and how you will meet those requirements. Finally, outline the transaction process and your return policies. Promotion – What methods of promotion you will use to communicate the features and benefits of your products or services to your target customers. Will you advertise? If so, where? What percentage of advertising will be handled by each advertising option? How much business do you anticipate that each form of advertising will result in? How much is this all going to cost? Also indicate if you plan to offer coupons or other incentives to get customers in the door. People – Decide your sales strategy and the people who will provide sales and service will be used in marketing your products or services to the customer. Who are the people or sales team that will be providing this service, and what kind of sales training will they receive. Do you plan to offer any incentives to your customer service representatives and how do you plan to measure customer satisfaction? As you make your marketing decisions, consider how you'll know what strategies are working and those that aren't. There's no sense in wasting time or money on promotional tactics that don't work. If you use social media to promote your business, you'll want to measure your social media analytics. Consider using A/B testing techniques to make sure you're using your best offers. Whatever form of marketing you use, find a way to quantify results so you can know whether it's worth your time and money to continue to use it.